This conclusion was reached after a fruitless install of the latest Amahi 7 installation on the 500 GB ‘system’ drive, included with the EX470. After backing up the Windows Home Server to a single external 2 TB drive (talk about nerve-wracking! ), I popped the drive into a spare PC and installed Amahi with the default options. No, I’m not 13. 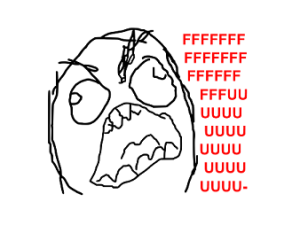 Yes, this image accurately reflects my frustrations. Moving the drive back into the EX470 yielded precisely zero results, no matter what I tried – the machine would not respond to a ‘ping’ command, and since I’ve opted to try and do this without a debug board, I don’t even have VGA to tell me what the hell is going on. So, that’s it for Amahi. 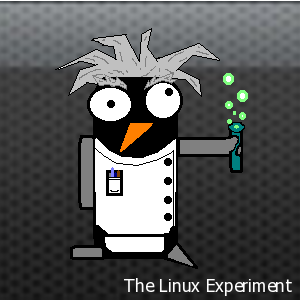 After deciding that I really didn’t feel like a repeat of my earlier Fedora experiment, I decided to try out the Linux ‘Old Faithful’ as it were – Ubuntu 12.04 LTS. I opted for the LTS version due to – well, you know – the ‘long-term support’ deal. The only kind of ‘TB’ I like. Not tuberculosis. This allows me to easily control the machine through SSH, and – as I understand it – is pretty much a must for someone wanting to control a headless box. Setup was easy-breezy, in that it required nothing at all. For those unfamiliar, Greyhole is – in their own words – an ‘Easily expandable and redundant storage pool for home servers’. One of my favourite things about WHS v1 was its ‘disk pooling’ capability – essentially a JBOD with software-managed share duplication, ensuring that each selected share was copied over to one other disk in the array. After those were done with, I popped the drive into the EX470, and – lo and behold! 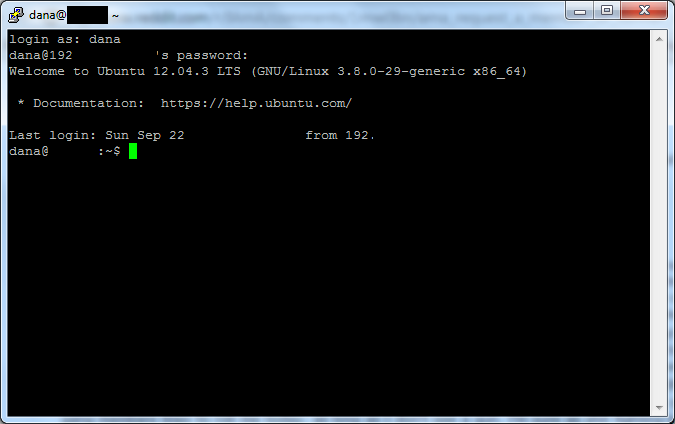 – I was able to SSH in. This? This is what relatively minor success looks like. …nothing. Nada. Zip. Zilch. The server happily blinks away like a small puppy wags its tail, excited to see its owner but clearly bereft of purpose when left to its owner. I can’t ping it, I can’t… well, that’s really it. I can’t ping it, so there’s nothing I can do. Looking to see if GRUB was stuck at the menu, I stuck in a USB keyboard and hit ‘Enter’ to no effect. Yes, my troubleshooting skills are that good. STILL NOTHING. 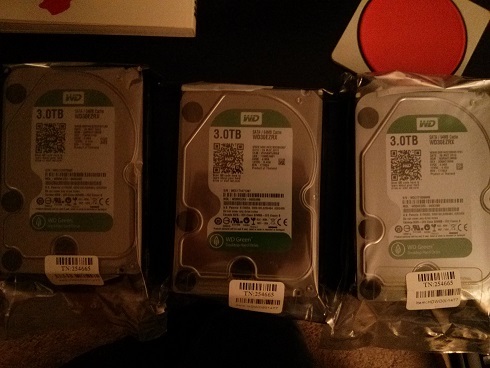 At this point, I’m ready to go pick up a new four-bay NAS, but I feel like that may be overkill. If anyone has any recommendations on how to get the stupid thing to boot with a 3 TB drive, I’m open to suggestions. Are you booting from the 3TB drive? If so, this may be your problem. The system you’re running may not even see the 3TB drive. I’ve written a blog about this that may help but I wasn’t worried about booting from the 3TB drive. Take a look and let me know if it helps!